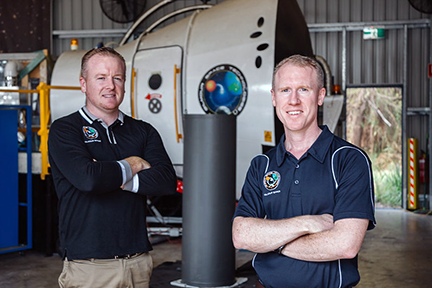 Gilmour Space Technologies has raised AUD 19 million (SGD 19 million) to scale-up and launch their first commercial hybrid rocket to space in 2020. Company founders — Brothers and founders, Adam (right) and James (left) Gilmour. 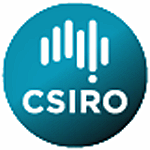 The Series B investment round was led by top-tier venture capital firms in Australia: Main Sequence Ventures, which manages Australia’s Commonwealth Scientific and Industrial Research Organization (CSIRO) innovation fund; and Blackbird Ventures, which led Gilmour Space’s AUD 5 million Series A round in May last year. Additional investors include U.S.-based 500 Startups, who increased their stake from the Series A round; as well as new venture capital, family-office and private investors. According to the company's CEO and Founder, Adam Gilmour, the small satellite revolution is gaining momentum globally, with thousands of small satellites slated to launch into LE) over the next five years. However, he cautioned, these new players will be challenged by high launch costs and limited launch opportunities. To address this bottleneck, Gilmour Space is developing a new breed of hybrid rockets that will offer dedicated LEO launches to small satellite customers at very competitive prices, according to the firm. The company plans to launch Eris-100 in 2020, a three-stage commercial vehicle capable of launching 100 kilograms to LEO; followed by Eris-400 in 2021, a clustered-engine vehicle for payloads of up to 400 kilograms. Gilmour added the he believes the progress so far puts the firm at a Technology Readiness Level (TRL) of six, well ahead of most small launch competitors globally. The fact that the company has come this far on relatively little funding is also a testament to the firm's innovative engineering and low cost manufacturing capability. This round of investment will give us the safe runway we need to build and launch our first commercial hybrid rocket to orbit in 2020." 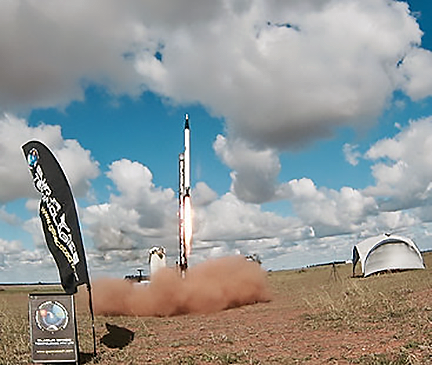 Gilmour Space's first suborbital test launch from Queensland, Australia in 2016. Photo is courtesy of the company. Although space investments are comparatively new to investors in the Asia Pacific, they are starting to take notice. According to lead investor Martin Duursma, a partner at Sydney-based Main Sequence Ventures, Gilmour Space is a great example of the rise of innovation in the Australian space industry. Duursma noted that no longer is Australia only focusing on so-called downstream applications, but now, with Gilmour, will also have the capability of launching satellites for commercial and national benefit. Since January of this year, Gilmour Space has achieved a number of key milestones: The company completed a series of ground tests on its proprietary orbital-class hybrid rocket engine, generating a record 80 kilonewtons (18,000 pounds) of thrust; signed a Space Act Agreement with NASA (the first private company to do so in Australia); attracted two senior space veterans to its advisory board; and is preparing for a suborbital test flight in a few months' time. Australia is also seeing the dawn of a New Space Age, with a newly established space agency, and key amendments in legislation that will enable domestic launches and is ready to take bold new steps to grow the nation's space sector, and to provide jobs now and into the future, a statement from Australia’s Minister for Industry, Science and Technology, the Honorable Karen Andrews MP, adding that this investment into Gilmour Space [through Main Sequence Ventures] is a great example of how the Australian Government is supporting cutting-edge innovation in Australia’s space industry. Ultimately, however, what customers want are reliable, timely and affordable launches that get their payloads to where they need it to be, said Gilmour. “With our new rockets and Australia's well-suited geography, we plan to build a commercial 'road' to space that will put Gilmour Space and Australia on the global space map."